Getting there is a bit of a hike, but the scenic riches of Machu Picchu’s mountaintop hideaway are well worth the trek. Machu Picchu’s best spots and some hidden gems – away from fanny-pack–wearing tourists Whether you’re an avid hiker opting for a two-, three- or four-day adventure along the Inca Trail (the famous hiking path to Machu Picchu), or want to cut right to the chase and take a bus to the site, the payoff is equally spectacular. 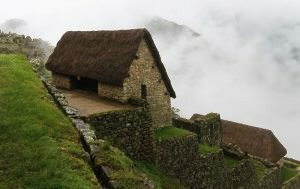 Upon arrival, watch the clouds drift aside, revealing the Incan wonder like a mirage. Your first tip? Ditch the crowd and take in the panoramic view before making your way through the site. If you’re there early enough, head to Aclla Wasi in the Industrial Zone for a picture-perfect sunrise, then head to the Guardian House, which isn’t usually crowded and creates a “perfect atmosphere,” according to Julio Risco Scotti, a guide with G Adventures. Nearby, the Temple of the Sun‘s tapering tower features the site’s best stonework, built for the Inca’s sun god. Cap off the day with a harrowing hike up the stunning Huayna Picchu mountain peak for panoramic views of Machu Picchu and the Urubamba Canyon. It takes three hours to go up, but well worth it. The Incas laid the stones for the Inca Trail, but they forgot the guardrails. Here are some helpful tips for making your ascent. If you plan to hoof it along the Inca Trail, the 43-kilometre route, thin air and steep incline ensure this four-day trek isn’t a Sunday stroll. With three major mountain passes, peaking at 3,950 metres on the second pass, you’ll need to be in reasonable shape. “StairMaster is all I can say,” says Cameron, who has seen some visitors extend the trek to five days. A good pair of hiking boots with ankle sup­port is a must, and for better balance, rent a set of walking poles. Prepare for the elements with rain gear, sunblock and insect repellent. If you plan on camping, bring a headlamp to avoid stumbling around in the dark, and prep for the cool nights with a sweater or hoodie. To avoid altitude sickness, which feels like a tequila hangover without the tequila, bring altitude pills. If you’re the altitude-tracking type, the Suunto Vector watch measures up to 29,500 feet. Lastly, don’t forget to bring your appetite (see Cusco Culture, right). Eat, dance and shop in nearby Cusco, 80 kilometres from Machu Picchu. Pampa del Castillo (Pork Street) is the place to find chicharrón and fried pork ribs, while the Inka Grill (inkagrillcusco.com) serves up a mean alpaca steak. After a late night, try the Peruvian hangover remedy: raw fish. Ceviche is raw fish marinated in lime juice. Peruvians swear by it. To let loose, Peruvian style, try Los Perros, a lively spot owned by an Aussie and Peruvian. For more traditional panpipe fare and dance performances, Teatro Municipal Centro or Centro Q’osqode Arte Nativo have nightly performances. If booking four months in advance to get a spot isn’t your thing, the area is full of alternate, less busy hikes. Consider a 20-kilometre, two-and-a-half hour hike to Machu Picchu starting in the town of Santa Teresa. It’s a mellow walk along abandoned train tracks. For a more strenuous route, the five-day Salkantay trek, connecting the city of Mollepata with Machu Picchu, reaches up to 4,600 metres and passes the snow-peaked Salkantay Mountain at 6,260 metres. Traverse through banana, cocoa, coffee and orange plantations. The five-day Q’eros Nation expedition doesn’t lead to Machu Picchu – instead, mingling with local alpaca and potato farmers, you’ll feel like the clock’s been turned back 400 years. Dubbed “the other Machu Picchu,” the Q’eros trek departs from Cusco and traverses around lakes and snow-peaked mountains to the lost city of Choquequirao. Quiet compared to the Inca Trail, this former Inca ceremonial site is also larger than Machu Picchu.